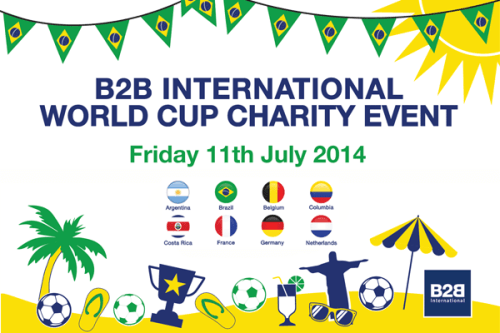 Last Friday, B2B International fully embraced World Cup fever by holding a World Cup Charity Event to raise money for The Christie Charitable Fund. The day’s activities all centred around the eight quarter-finalists, and included a bake sale, costume competition and a raffle. With staff from our London and Dusseldorf offices joining in remotely as well, the day certainly promised to be a great one! To kick-off the day (no pun intended! ), staff brought in a range of delicious homemade food from different countries, including savoury offerings from France, Germany and Belgium, and plenty of cakes and cookies. A particular staff favourite was a moreish chocolate fudge cake beautifully decorated with the Argentinian flag. Staff certainly didn’t hold back on all the food on offer, as an amazing £76 was raised from the bake sale alone! There was also a competition for the most imaginative use of costume/colour inspired by the eight quarter-finalists. 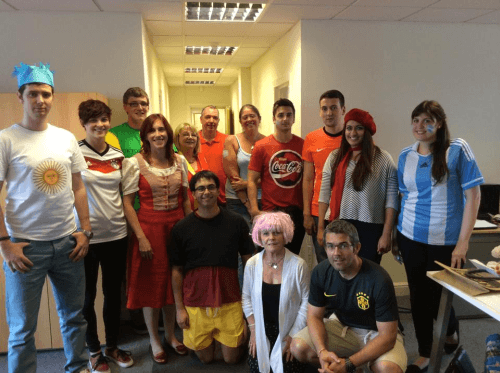 A vote among staff chose France-inspired Simi Dhawan as the winner, who came dressed as a French lady complete with red beret and French flag contact lenses! The hugely enjoyable day ended with the raffle and the chance to win some amazing prizes. On offer were several prizes donated by B2B International, including the much sought-after grand prize of a day’s paid leave. To further increase the prize haul, we also invited local Bramhall-based businesses to donate prizes. The response was incredible, with 21 companies donating a wide array of great prizes. 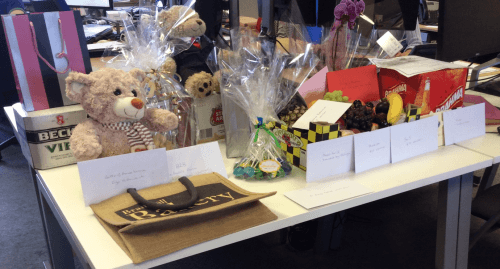 All in all, the raffle raised an incredible £345, and we owe a massive thank you to the local businesses that contributed and donated prizes. The final amount raised on the day was a massive £449.40, an amount which was kindly matched by B2B International, bringing the total raised for The Christie to £900. The day was a huge success, and we are proud to be able to continue to raise money for such a great cause.